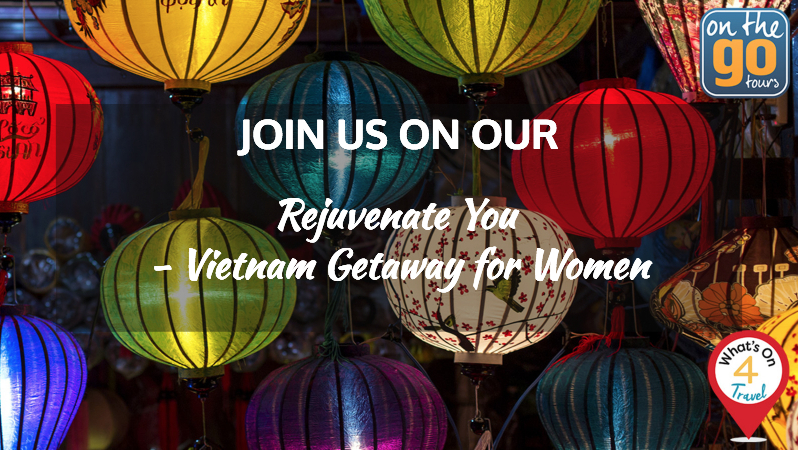 Come Join Us and rejuvenate on a relaxing break with our “Vietnam Getaway for Women” – Hosted by What’s On 4 Travel! A privately hosted small tour beautifully created with women in mind. 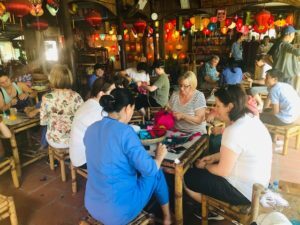 After such a successful Rejuvenation Tour in 2018 – our exclusive Vietnam Private Tour for Women is back by popular demand! Filled exclusively with the perfect balance in our custom designed itinerary to suit all women – relaxation, rejuvenation, pamper, free time, culinary, soft adventure & activities, shopping, dining, cultural and most importantly authentically Vietnamese. Yes, We believe it’s time ladies! Forget the daily repetition; maybe it’s the school run, the “what’s for dinner?”, work, the chaos, the lack of sleep or you’re simply ready for an adventure for yourself or with the girls? Regardless, it’s time for self-care, rejuvenation, and excitement – It’s time to get traveling again. Our focus for this trip is for Women. 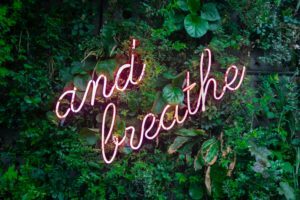 We want to assist ladies losing themselves in the busyness of life, whether it’s parenting, caring for loved ones, work or retirement; we want to help you avoid burnout and enjoy living. We believe ‘us girls’ deserve a little time off for some self-care – regardless of age or time of our life! 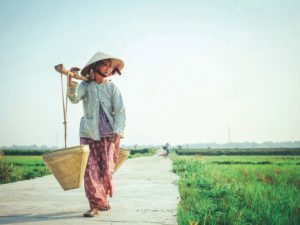 Our 2019 Vietnam Getaway for Women is the perfect escapism for everyone. We’ve catered to what women want – a little shopping, a little adventure, a little pamper and a whole lot of being taken care of! It’s a perfect time to be surrounded by other like-minded women, have a laugh or two and just blissfully relax. Be honest, When is the last time you’ve really taken time out just for yourself? Ladies, we promise to take good care of for you – so the only decision that’s left is…champagne or cocktail? This trip is ideal for all female travellers whether you’re solo, coming with your BFF, colleague or a group of your besties! (min. age requirement is 18 years+). Remember this is a specialised tour, with all the added special touches you can’t get with a regular tour. 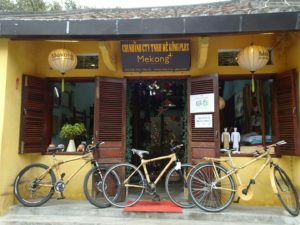 We’ve teamed together with highly reputable tour guides, accommodation & specialised services; after our 2 successful trips last year to Vietnam we have created a customised tour the specifically ensures the right fit for our audience – you! We really have collaborated and created THE perfect trip for our What’s On 4 female community. Read about my own experience of the trip here. The benefit of our customised tour is that we are able to experience, access and explore Vietnam even further and more authentically due to the small size of our private tour over larger generalised mixed tours. 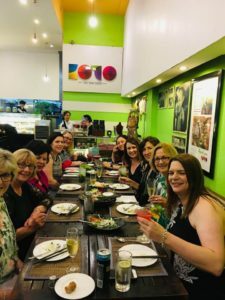 You will be surrounded by like minded females, have What’s On 4 Travel female ‘end to end’ service that will also be attending the entire tour along with an English speaking Vietnamese local guide and we will ensure you are safe and in a friendly environment at all times. For those unsure of travelling alone or to a foreign country – please be assured: All travellers will meet us in Singapore Airport as a whole tour group for our connecting stop-over flight to board and arrive in Vietnam together. Those departing from Brisbane will have us onboard with you! How exciting! Finally; Remember this ladies – you are worth it, this IS achievable AND not only will you benefit from this trip; so will your loved ones! Don’t overthink it – be spontaneous! Can’t wait to see you there! 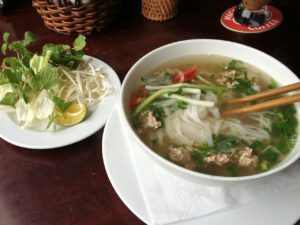 Hanoi – Enjoy a traditional Vietnamese rickshaw ride through the bustling old quarter, sampling a range of traditional Vietnamese street food, including Pho, Hot Pot, Banh Mi, Spring Rolls,Crispy Pancakes, Sticky Rice, Bun Cha and the ultimate Vietnamese Coffee! 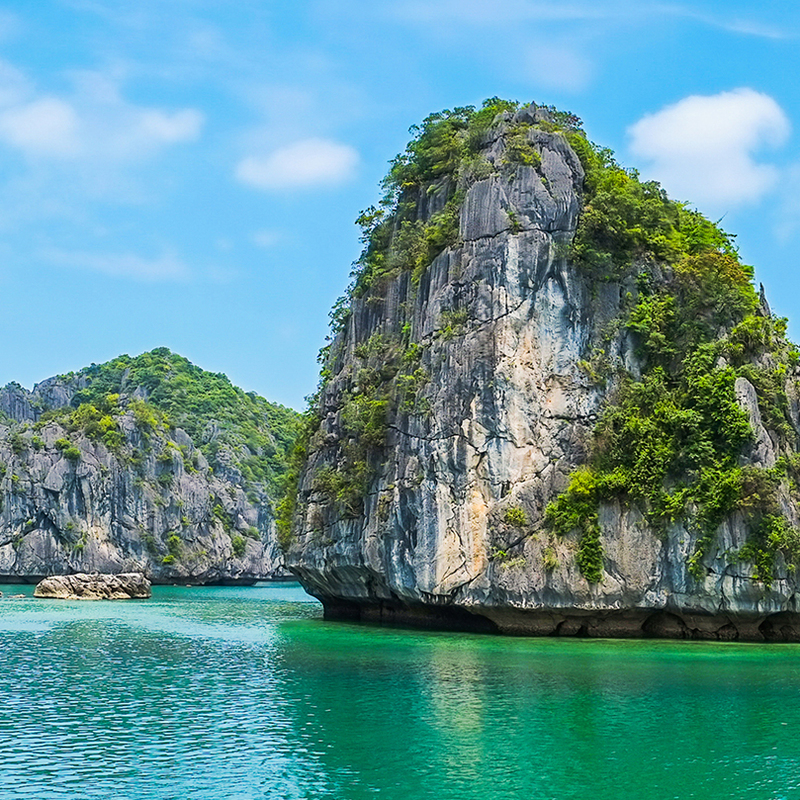 Halong Bay – was so enjoyed by our past tour groups – we’ve now included a 2 nights stay! 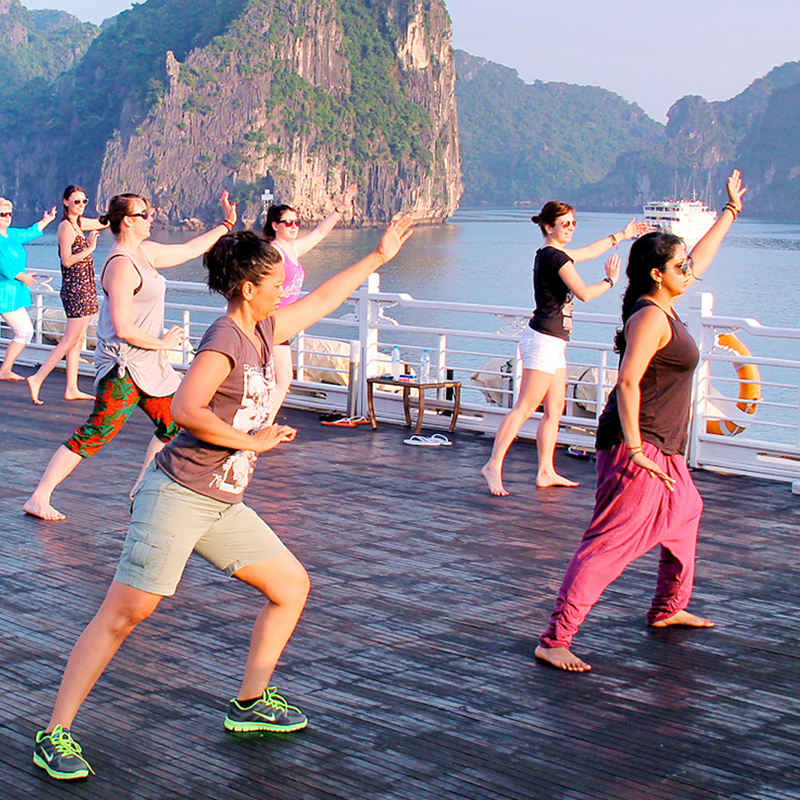 Try something new, rejuvenate and learn Tai Chi while on-board your overnight junk boat cruising the magical UNESCO World Heritage Listed Halong Bay or just sit back, relax and enjoy the view (with a cocktail in hand!) Enjoy a group sampan ride or kayak this beautiful region. This is truly THE most tranquil and calming destination on our tour! This tour we’ve added more day activities and adventure in secluded non-touristy parts of the region. Enjoy. Gorgeous views from every cabin guaranteed. 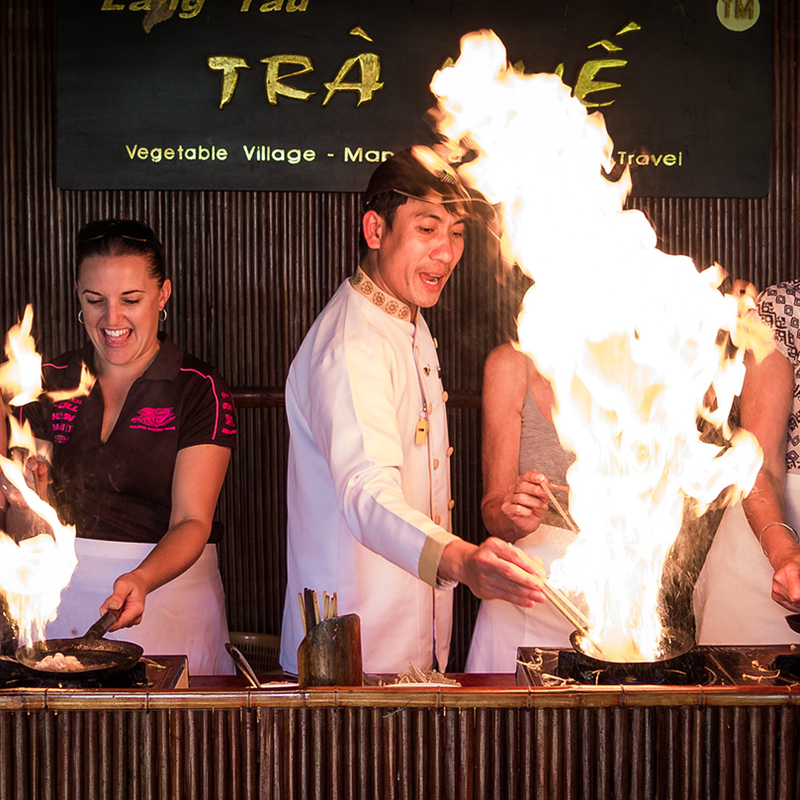 Hoi An – Be part of world-class cooking classes, discover cobblestone streets lined with beautiful luminous lanterns and street food. Enjoy being carefree on your leisurely bike ride through the rice paddy fields and grazing buffalo. Enjoy a foot massage and feel yourself rejuvenate. Hoi An is where you can sit all day sipping Vietnamese coffee and people watch! Lots of pampering & self-care opportunities at every stop – think relaxing spa treatments, uninterrupted coffee breaks, showers AND sleep! Take your time and stroll through local markets at your leisure and barter a bargain; bring a little extra spending money for custom tailoring – silk pyjamas, leather shoes, handbags, clothes are all highly recommended! You are in good hands – everything is taken care of for you to enjoy! Places for this tour are strictly limited and on a first in basis. If you would like to secure you place or send an expression of interest, please email kirsty@whatson4.com.au asap. 1 x brunch, 3 x lunches and 4 x dinners (those that are included on the itinerary) – please advise of any food allergies upon booking. 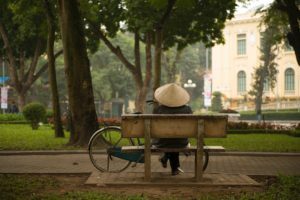 Vietnam visa letter included – but stamping, fee required upon arrival $25 USD. Tip for your Vietnamese tour guide. We recommend you allow $10 AUD per day, per traveller. Tipping your guide is an entirely personal gesture at end of the tour. Optional Add on Tours in Hoi An: Night Vespa Food Tour ($175 AUD pp) or Half Day Cooking Class ($140 AUD pp) IF you wish to attend. These are done on your Free Time times and days. If you are arriving or departing at different time or destination to the main group, additional transfer charges will apply separately. I had the absolute privilege taking this trip in January 2018 with my dearest friend April. It was life changing for us both! 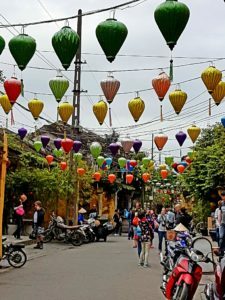 To reconnect and recharge was the bonus outcome of our Vietnam experience. I haven’t been on a trip like this on my own since being married and having kids. Vietnam was so welcoming and accommodating, I felt safe and relaxed the entire time! I think by going on an organised tour like this I got the best out of my experience – they had everything arranged so I could just sit back and enjoy myself (for the first time in a long time!). I really felt by having the tour guide we were able to be provided with such hands on knowledge and understanding of the beautiful Vietnamese people and culture. The tour guide was English speaking and so informative and attentive. Vietnam was beyond our expectations, so picturesque; I am so pleased to be returning in October to enjoy this amazing country, its people and my favourite destinations with you! Day 1: Xin Chao or 'hello' in Vietnamese! Ladies, “Welcome to Hanoi”; one of the region’s most charming cities! Where French colonial elegance meets Asian spirit with attractive lakes, colourful pagodas and atmospheric streets – you are going to LOVE it! On arrival you will be met by our On The Go Tour guide representative and transferred to your boutique hotel where the remainder of the day is at your leisure; to relax or head out and explore the surrounds. 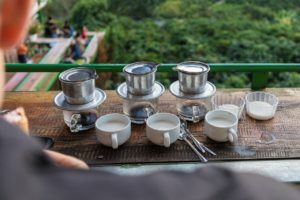 Soak up the atmosphere and have a little wander around Hanoi, chat to the locals, enjoy THE BEST coffee, ice-cream & cake shop right next door to our hotel (We can definitely give you suggestions as we’ve given nearly everything a good try – it is THAT good!) or just relax! This evening we will meet our tour guide and our full group of female travellers at our hotel, where we will be transported over to a special tour welcome dinner at KOTO Foundation Restaurant. We can’t wait to share with you KOTO’s purpose and initiative – by Vietnamese-Australian founder, Jimmy Pham over 16 years ago! 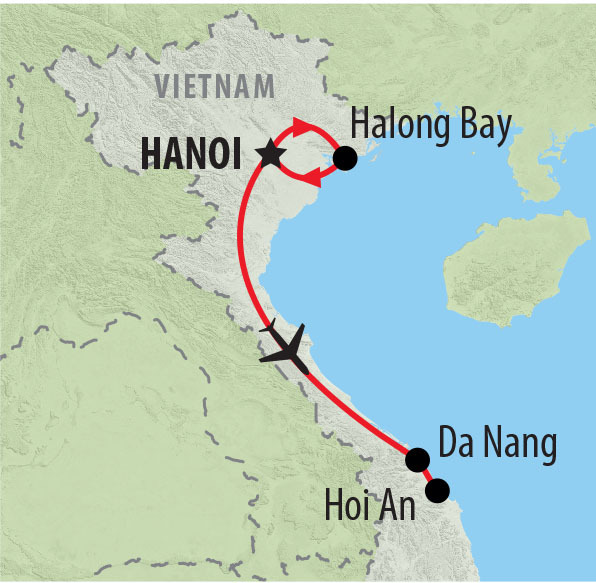 Over dinner we will go over our Vietnamese adventure that awaits us for the week. Welcome to Hanoi , this morning we will be transferred from our hotel to explore the quixotic web of streets, known as the ‘36 Streets of the Old Quarter’ by Rickshaw where you will see the motorbike swarming narrow lanes are each named after various guilds of the city’s artisan who established themselves here centuries ago. There is Silver Street, Silk Street, Comb Street, Paper Street and more. A maze of rambling streets is framed by narrow front tube houses and we may have a chance to sample the exotic fruits, sizzling noodle dishes and delightfully sticky snacks being offered by the pavement vendors along the way. 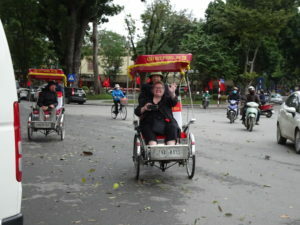 Our tour of the area is undertaken by a quintessentially Vietnamese experience from aboard a rickshaw. It is such an exciting experience and the best way to ultimately enjoy the beauty of Hanoi. We have an opportunity to enjoy the celebrations of Vietnam’s National Women’s Day in Hanoi today with some interesting local exhibits or you can have the rest of the day to enjoy at your leisure. 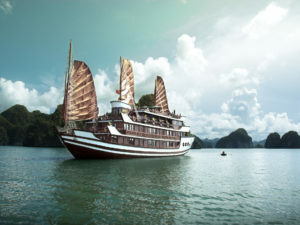 After breakfast this morning we leave Hanoi and transfer to the crown in Vietnam’s scenic crown for our 2 night stay at the incredibly beautiful Halong Bay. We’ll explore the jade waters studded with karst islands aboard a traditional wooden junk boat and are welcomed onboard like royalty! After embarkation there’s time for a sumptuous lunch whilst soaking up the magical views.This afternoon we will visit the spectacular Tien Ong Cave; which was recently opened to the public in 2010, with its stunning stalagmites and stalactites. Before ‘Happy Hour’ at the bar, there is also a chance to swim in the beautiful emerald green waters and watch the spectacular sunset. Later this evening back on board, watch an entertaining Vietnamese cooking demonstration held on the sundeck and take part in a fun ‘Masterchef’ type competition before settling down for a sumptuous seafood dinner and a cocktail or two! Another chance to start the day with a relaxing & rejuvenating Tai Chi class on the sundeck or enjoy a traditional massage if you prefer- either way, it’s the perfect way to start your day! After breakfast, our junk boat sails to Hang Trai Island where we will transfer over to our Day Cruise where we will get ready for Day 2 activities on Halong Bay. We will sail past Ang Du area, Hang Du, Kong Skull Island filming location to reach the lovely Choc Cheo Islet area. This gorgeous location is more private and less touristy for us to enjoy for some gentle water activities. 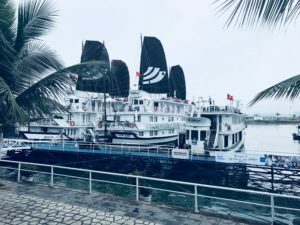 The journey continues as we venture onto a floating pearl farm; along the way we will pass Ho Ba Ham Area, Ba Men Temple, But Island and Me Cung Cave. We will take an excursion around the pearl farm and learn about the local life of people living here. You will get a chance to choose fresh seafood for the chef to cook you an authentic Vietnamese special-style lunch later on. You will return to our overnight junkboat mid-afternoon to relax from your magical day. 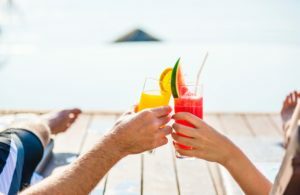 Again, enjoy the luxuries of the junk boat and meet up with the rest of the ladies on the sundeck for Happy Hour (2 for 1 again!) before another set-menu Vietnamese dining experience for dinner. Squid Fishing is available on board this evening or complete the evening by booking yourself for a spa treatment. Please Note: Cruise itinerary and schedule are subject to change due to weather, tide levels and operating conditions. Swimming or kayaking excursions may be cancelled due to poor weather. Unused services unfortunately are not subject to a refund. Another chance to start the day with a relaxing Tai Chi class on the sundeck or enjoy a traditional massage or a quiet place to read your book if you prefer- regardless, it’s the perfect way to start your day! Before heading back to port we’ll explore by kayak or traditional row boat, the Floating Village of Cua Van, which is home to generations of fishing families. It’s certainly a terrific experience to see the traditional and colourful floating wooden houses and the locals going about their daily lives. We will return for a light brunch before disembarking. Mid Morning we transfer to the airport for our included flight to Da Nang. On our way will stop in at the beautiful Da Nang seaside for a late lunch. Upon arrival into the charming, old-world trading port of Hoi An, we will take a short walking tour to introduce you to the highlights of this enchanting and historical town. Ladies, our first stop will be at a local & highly reputable Tailor, where you can have anything custom made at affordable prices. We recommend the tailoring of clothes to bags and shoes – so remember to bring items or pictures you’d like replicated! Hoi An’s unique fusion of Chinese, Japanese and Vietnamese architecture is well displayed here, it truly is Vietnam’s most tourist-friendly town. It’s a wonderful & safe town to explore day or night! Enjoy walking the Night Market to try local delicacies or discover the exquisite dining options in Hoi An or have some fun at a local Karaoke Bar. Today is a real highlight, where we will spend out in the countryside learning all about the rural way of life in Vietnam. We set off this morning by bicycle to Tra Que village. On our way we stop at a lantern making workshop where you can witness the creation of exquisite lanterns. You can even try to create your own with the support of a master craftsman. The bike ride is at a leisurely pace on flat roads that take us through rice paddies and farmland. The option of a support car is available locally for those not too keen on bike riding (only a few dollars – payable locally) to ensure no one misses out! Once at the village we’ll get our hands a little dirty learning about age-old farming practices and putting our knowledge to use by tending the fields and gardens as a group. We will get a chance to pick some fresh produce that will be used in our special lunch. 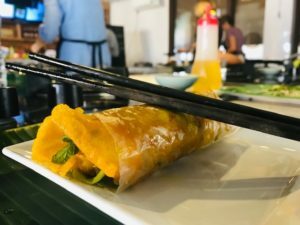 Before you get to have a try at cooking your lunch in the restaurant (like delicious Vietnamese Pancakes!!) sit back and relax whilst you are pampered with a foot bath in traditional herbs (from the garden of course!) and a rejuvenating 30-minute foot massage – bliss! Later this afternoon we’ll return back to Hoi An for a free mid afternoon and evening. Shopping or Karaoke anyone? This evening you have the optional ‘Foodie Vespa Tour’* to consider and is available to be pre-booked at time of tour booking; our trusted sources say this is a fantastic optional excursion! For more information & cost please see below. Today is a leisure day – completely free for you to enjoy Hoi An as you wish. We can guarantee you will lose yourself in the gorgeous cobbled streets lined with boutique restaurants, colourful lanterns, hip cafes, delightful craft shops and so much more! If you prefer some R&R, lounge by the hotel pool, head to the beach or enjoy ANOTHER pampering massage! For those with an enjoyment of cooking, we offer an optional & exceptional cooking class as an extra experience today (see below for more information & cost*). This cooking class is suitable for all foodies of any culinary level and we can assure you the facilities of this venue are world class and is highly recommended! Later, as its our last night we will meet at the Deli Kitchen Market for a fun group farewell dinner. Minimum 10 bookings needed for Tour to go ahead. If for any reason this minimum is not met, you will have the option to take on a substitute Vietnam tour arranged with our affiliated Tour Company. Non Refundable Deposit to secure your place. Places are strictly limited. This tour & itinerary is subject to change in accordance with any change in government and community regulations and circumstances beyond our control such as natural calamities (floods, typhoon etc); flight/train/boat delays, rescheduling or cancellations, traffic jams, vehicle breakdown, accidents, medical evacuations, riots, strikes etc. To enquire or book, fill in the enquiry form and What’s On 4 Travel consultant will be in touch shortly. Yes, I would like to receive emails from What's On 4 Australia. Sign me up!